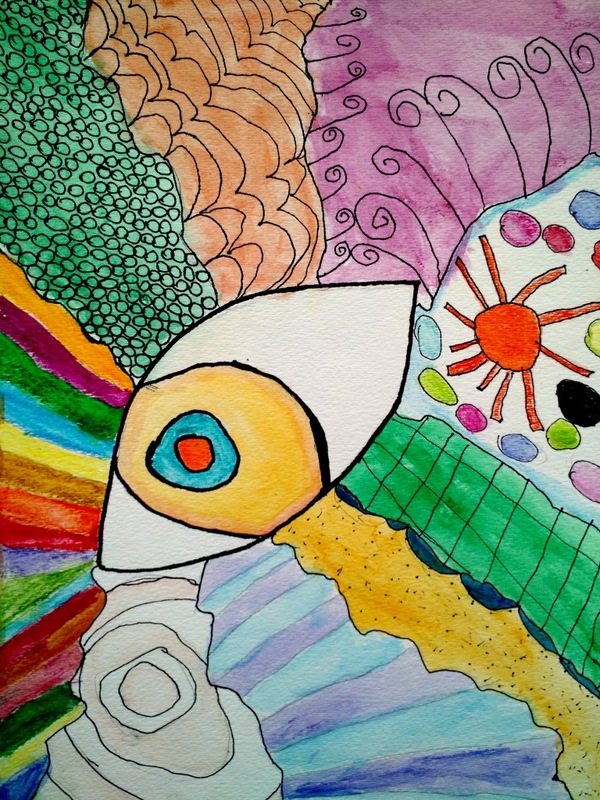 Art Start students learned about an engrossing form of doodling called Zentangle. First you divide a paper up in an interesting way, either with a recognizable shape or a random line. Then you fill in the different sections of your drawing with different tangle patterns. 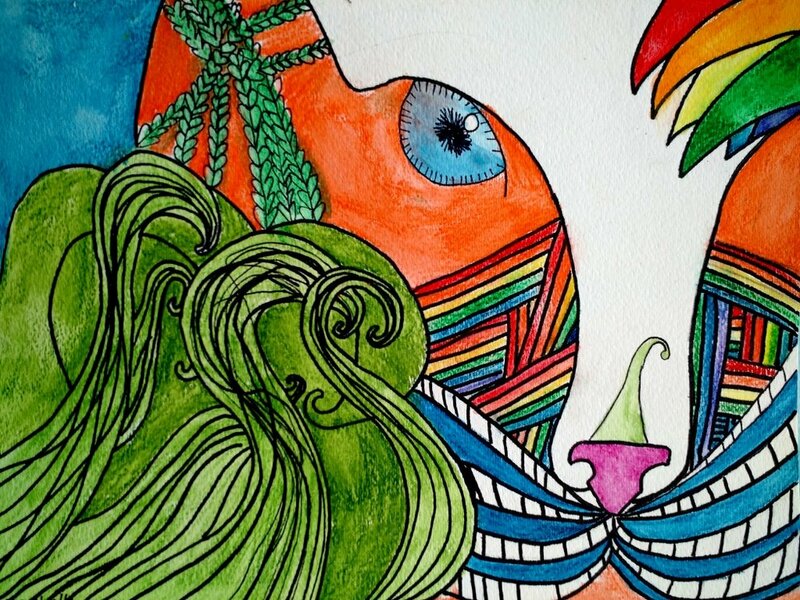 We outlined with permanent marker then added optional color with watercolor pencils.